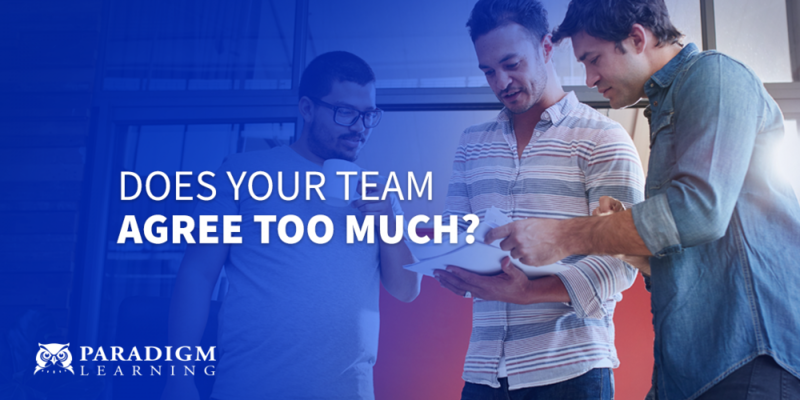 It’s long been the bastion of corporate teamwork; building a cohesive, agreeable team. But is it possible that your team might be a little TOO agreeable? Research from Cass R. Sunstein and Reid Hastie published in the Harvard Business Review suggests that the old axiom “two heads are better than one” might be fallacious advice, especially when it becomes three, four or five heads and “groupthink” emerges. Because of both errors in receiving informational signals (how we interpret one another) and reputational pressures (gotta do what the “boss” thinks is right), groups often become far LESS than the sum of their otherwise brilliant parts. Group members often become so reluctant (or oblivious) to find errors that they instead amplify other team member’s mistakes. Groups also have a tendency to embrace the actions of whoever speaks first and fall into the trap of focusing on what the group already KNOWS rather than exploring important things they don’t. So how can we make sure our teams are making the most successful decisions in a healthy and productive fashion? Often when leaders or high-status group members voice their opinions early in the discussion, further idea exploration is stunted. Allow all team members to express differing views early in the proceedings. Assign someone the role of intentionally searching for counterpoints. But be cautious, if the role becomes too exaggerated and inauthentic, the value is decreased. Reduce the social pressure to conform by having participants vote anonymously to get an early sentiment on the group’s collective opinions. This method is meant to further discussion, not end it conclusively. Leading successful teams is a huge part of an effective leader’s responsibilities. The good news is, leadership and communication are skills that can be honed and developed. See how to equip your leaders for success, with Impact5.